REMARKS OF ANTONIO C. MARTINEZ II. ESQ. I have always maintained that our embargo and sanctions against Cuba are counterproductive and neither in the best nor strategic interests of the United States. 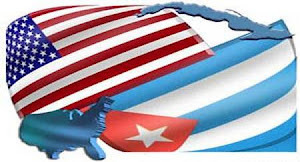 The fact that our relations with Cuba are always determined by the domestic politics of the State of Florida and Hudson County, New Jersey has not served our country well. These policies are fear based and have not, do not, and will not, inspire the changes that I believe most of us would like to see. History bears this out, and yet now we are here again looking at how to promote internet access in Cuba? This is another misguided policy attitude rooted in the fear that Cuba will never change, so somehow we must force that change. Paradoxically, Cuba is a country who fears that it will change too quickly and somehow lose itself in that inevitable process. Both countries are mistaken. Because change is inevitable and constant. But we can only address the United States’ role in the matter here. If we want to promote internet and the free flow of information, then our conduct should reflect that proposition by congruency of our behavior. How is promoting internet access and free flow of information possible as long as there are travel restrictions, a trade embargo and sanctions? The power of the market demands for information should drive that process, not a political decision. We were just beginning to make progress when we experienced the reversal in policy last year on June 6, 2017. Then we have to ask why Cuba when one-third of the world's population lives under authoritarian rule and much of it with internet restrictions and the free flow of information. Yet there is no task force like this on other countries. Why? So let's not kid ourselves or even those constituencies in Florida or New Jersey that this Task Force is actually going to open up the internet in Cuba. What we should be doing through normal travel, trade, and engagement is to keep pointing out the benefits of the robust and open exchange of information and access to the internet. Similarly, if Cuba ever aspires to host world-class sporting, science, and entertainment events, even an Olympics in the future, for example, they will need to have a world class internet infrastructure. We need to be speaking to the possibilities the Cuban people will have when the number of computers owned by Cubans and internet hi-speed connectivity are no longer luxuries, but an integral part of their society and education. None of that is possible through this Task Force. What we can also do as other countries are doing is allow Cubans to visit, study, and work as authorized abroad. That is an avenue that opens the information world to Cubans. Cubans I have spoken with visiting here and elsewhere point out their amazement and pleasure of being able to access the internet at hi speeds, low cost, and without burdensome regulations. They take those experiences home with them, and that also reflects how a change will come to Cuba in that regard. But we cannot even do that while we have a skeleton-staffed Embassy and Consulate in Havana and Cubans now have to gamble the costs of travel to Colombia to roll the U.S. Consular appointment dice to see if they can get a visa to visit the United States. The United States and Cuba should be working together to unravel the mystery of the sonic injuries that is evidently the issue there. We need to resolve the outstanding issues that frustrate both countries from having the proper complement of diplomatic and consular staff to serve the people efficiently and in a timely fashion. In conclusion, my recommendation is that this Task Force report back to the President that the best way to help promote internet access in Cuba is through facilitating normal trade and travel relations and lifting the embargo. Everything else we have tried in the past has failed. It is time for us to get back to the future.